After nearly a year and a half, Cory Jones’s Cryptozoic Entertainment has reached a settlement out of court with Wizards of the Coast concerning similarities between Hex TCG and Magic: The Gathering. Those interested in the progress of the lawsuit can check it on this reddit thread, but from the start, Hex stood out to me as completely different from Magic. I say this both as someone who covered the game right when the Kickstarter came out and as someone who still plays Hearthstone instead. Those who seem to cry “clone” the most seem to be the ones who either haven’t played it or haven’t played it for more than a few matches. 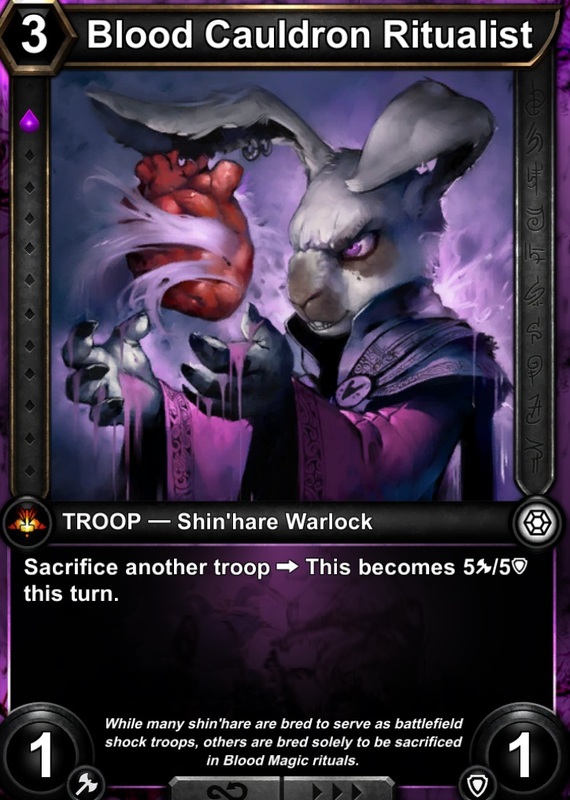 For me, the only real similarity aside from CCG basics (like drawing cards and dealing damage) was the color scheme. Black is evil, white is pure. However, the theme’s a constant one due to symbolism. Red is seen as a passionate color, not a calming one, so associating red cards with anything that isn’t fiery in nature just seems artificial. It’s the same reason why arguing about orcs or elves feels invalid, since they’re stock characters in western fantasy, and while you can have original characters, like Hex‘s Shin’hare, the tried and true tropes also include inherit stickiness. Magic does the same thing, it just did it first. What you need are for the mechanics to be the same, which they’re not. For example, in Hex, you start with an avatar and then choose a color/faction. Yes, Magic has something similar as a fun mechanic with promotional cards, but those saw very limited use. Hex also allows you to create new cards out of thin air. You can consider these “tokens” that actually go into your discard pile after being used (a big deal for anyone who knows how Magic utilizes discard), but they’re much more complex and easier to track, taking full advantage of the purely digital nature of the game. Cards can also transform, equip items, and be socketed, allowing two of the same card to act quite differently. Heck, even the resource system is geared towards the digital nature of the game. This is all accessible to new players, all before considering the future MMO features tools planned for the game. In short, the lawsuit from the start seemed doomed to fail. The strongest similarities are tied to culture and genre. Once you move past that, the two are different as Mario and Sonic.